HomeBlogs5 Legendary Love Stories From India That Everyone Should Know About! 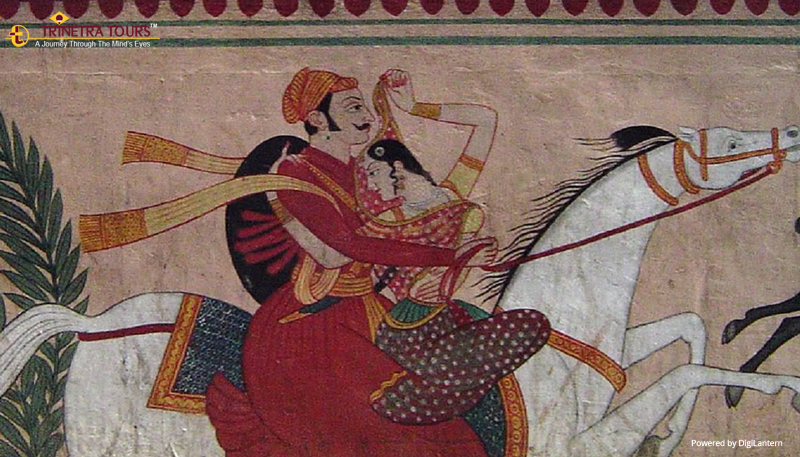 5 Legendary Love Stories From India That Everyone Should Know About! Love is the most powerful emotion in the universe and Indian history is full of folklores where gallant kings fought wars and ordinary men fought through all the social odds for their love. Its Valentine’s Day! Love is in the air, so, let's reminisce the most legendary love stories from India. 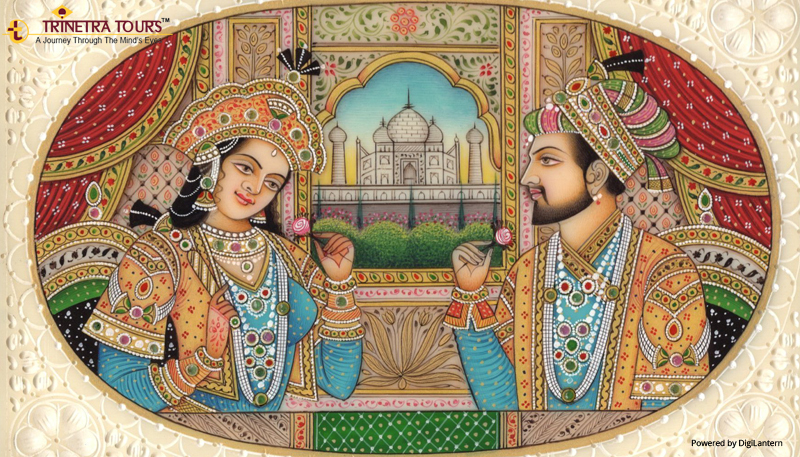 Originally the name of the Mughal emperor Shah Jahan's second wife was Arjumand Banu Begum. Her name ‘Mumtaz Mahal’ meaning the jewel of the palace was given by the emperor because he loved her the most. When their 14th child was born, Mumtaz died leaving Shahjahan heartbroken. The grief-struck Shahjahan then built one of the Seven Wonders of the World in the loving memories of his wife – The Taj Mahal. The famous Sawamvara ( Girl choosing her groom from a group of prospective men) story of India! Prithvi Raj Chauhan was the rival of Maharaja Jaichand, who was Samyukta’s father. The king Prithvi Raj Chauhan was in love with Samyukta, but of course, her father did not approve of it. He instead decided to conduct a Swayamvara for princess Samyukta. Yes please, Prithvi Raj Chauhan was not invited to this ceremony and to add to his humiliation a statue of him as a doorman was constructed. However, love cannot be dictated or bound in shackles. Do you know what the princess did? She put the garland on the statue. Masterstroke! Legend also has it that, Prithvi Raj was hiding behind the same statue and they eloped afterward. 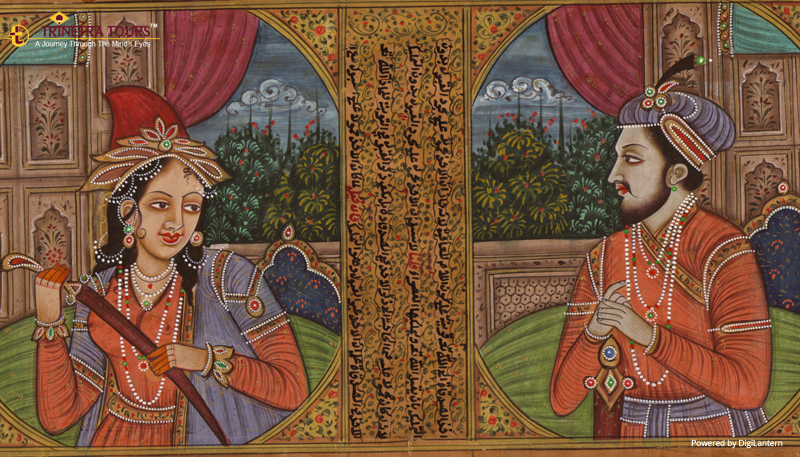 Love story of Mughal Emperor’s son Salim who fell in love with a courtesan named Anarkali. When Akbar came to know this he was really furious and unhappy after all he was the ruler of the entire Indian subcontinent, how can his own blood can married to a courtesan? It was simply unacceptable for the Emperor. However, instead of surrendering to the Emperor’s will, Salim waged a war against his own father. Unfortunately, the prince could not stand up to the power and pomp of the Mughal Sultanate , and, suffered a humiliating defeat in the battlefields of Agra. Later, he was sentenced to death, but, Anarkali came in between the verdict and chose to entomb herself just to save the life of her beloved Salim. Baji Rao was the most influential and celebrated warrior in the history of the Maratha Empire. On the other hand, Mastani was the daughter of Maharaja Chhatrasal by a Muslim wife. Baji Rao fell in love with Mastani and thus began their journey of love. Rao was already married to Kashi Bai and Mastani being a Muslim was not acceptable to the Bajirao family. However, love has never sought for permissions. So, despite against all the odds, Baji Rao married Mastani. The times in which they lived was very much different from the times now, but they did not fear, for their love was pure and eternal. Legend also has it that Mastani committed suicide after she sensed the death of Baji Rao on the battlefield. The real name of Noor Jahan was Mehr-un-Nissa who was married to Sher Afgan, a Turkish soldier. For its time, the love between Noor Jahan & Jehangir was scandalous as she was a married woman a widow too, but, the Man was so in love with her that the societal judgements did not matter to him. It was not that easy for the Emperor to win her heart as she kept refusing him. Six years of persuasion from Jehangir was needed for her to recognize his love and agree to marry him. She was the twentieth and the most favorite wife of Jahangir. Let’s be more responsible towards mother nature! Why Dharamshala became the Home of the Dalai Lama in India? Why people of Bhutan are considered the Happiest in the world? Go Beyond Mykonos and Santorini to discover the Jewels of the Mediterranean. Remembrance Day - The unsung stories of Indian War Heroes from the World War I. Are You Ready For The Adventures of Indian Wildlife Panorama? Copyright © 2016 - 2018, Trinetra Tours Pvt Ltd. Powered by DigiLantern. Trinetra Tours has been awarded a Certificate Of Excellence for being "The Most Promising Inbound Tours Company in North India" by the World Travel Brands Foundation. The latter are the most revered and coveted Travel Awards for powerful brands, exceptional individuals & innovative businesses from the World of Travel, Tourism & Hospitality industries, that have excelled in customer service and developed innovative ways to carve an emphatic identity for themselves.